When it comes to worst nightmares, there are so many options that it can be hard to decide what's the actual worst case scenario. But this experience ranks right up there: An 80-year-old woman was a passenger in the small twin-engine plane her husband was flying near their home in Sturgeon Bay, Wisconsin. Suddenly her husband, 81, passed out and died at the controls. Somehow she got word to the ground about what was happening and was able to remain composed enough to keep flying the plane. 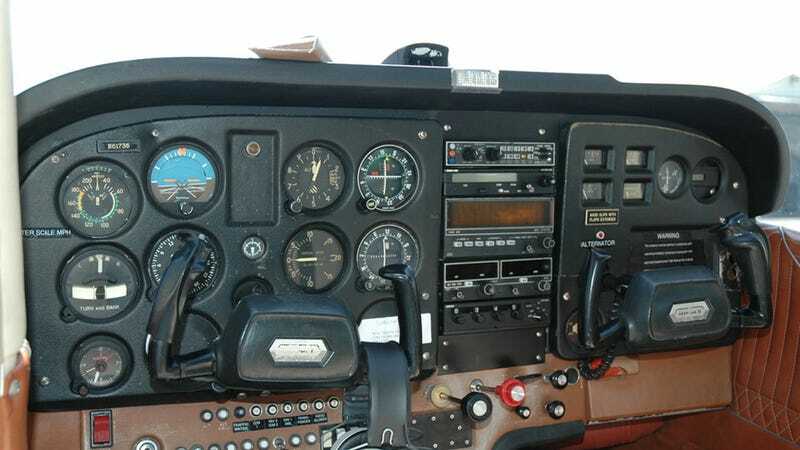 The Door County Sheriff was alerted to the incident at about 5 p.m. A certified pilot then came to fly alongside the woman and coach her. That sounds insanely difficult to coordinate, but fortunately it worked. By 6 p.m. she was still in the air when her right engine ran out of fuel and lost power. By some miracle, she was then able to successfully land the plane at Door County Cherryland Airport and suffered only minor injuries. Her husband was pronounced dead. While the whole thing sounds like quite a horrible ordeal, thank goodness she had the presence of mind to keep it from becoming even more of a tragedy.